The H5 avian influenza virus has been discovered on the farm and an inspection is currently underway to figure out whether the case contains the highly pathogenic strain of bird flu, officials said. Quarantine officials will slaughter around 20,000 quails being raised at a farm 3km (1.8m) away from the site as a preventative measure. The farm is in Eumseong in North Chungcheong Province, South Korea, around 131km (81m) south of Seoul. The virus was discovered during an inspection before sales of the farm’s ducks. It is the first case of avian influenza to be reported in 41 days. But different strains have hit Mexico, Bhutan and the Netherlands in the last few days. 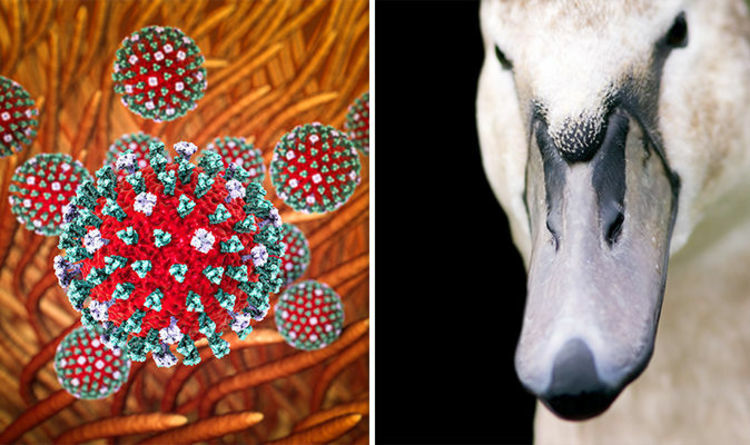 Bird flu is an infectious type of influenza that spreads among birds, but in very rare cases can affect humans. Around 24,000 ducks have recently been killed at a single duck farm in China. The dangerous H5N6 bird flu was detected at the farm in Guangxi Province. The strain was described as “highly pathogenic” by the OIE, the World Organisation for Animal Health. The Chinese Agriculture Ministry said the virus killed 23,950 ducks out of a flock of 30,462. A woman in China was the first ever human recorded to have the H7N4 strain of the virus in February. According to China’s National Health and Family Planning Commission, the patient had contact with live poultry before getting sick and was discharged from hospital on January 22 after “recovering from her illness”. Like other types of flu, the NHS says bird flu symptoms often include: A high temperature (fever), Aching muscles, Headache and a cough or a runny nose. The world’s first human cases of bird flu were reported in Hong Kong in 1997, when six people were killed by H5N1.